Earlier this year, the science was settled—Ariane-6’s design was decided and no major change was to be expected in the European launch Industry. But in mid-June, Airbus and Safran made two game-changing announcements: first, the two companies agreed to merge their launch vehicle operations into a 50-50 joint-venture; second, they proposed a new design for Ariane-6. Before the announcement Ariane-6 was supposed to be a three-stage rocket mainly using solid propulsion (PPH); it was based on four of the same solid engines for its first and second stages, re-using an existing engine for the upper-stage. ESA estimated the development costs at 3.25 billion euros. With a capacity of 6,500 kg to GTO, it was presented as the most cost efficient choice with a price tag of 70 million euros per launch. Both the PPH design and the associated price tag met a lot of skepticism, including NSR’s. 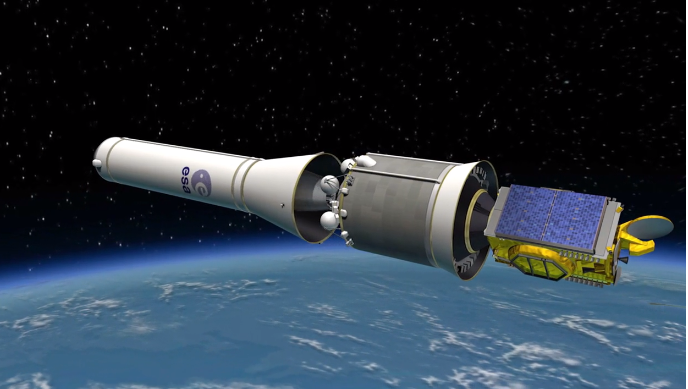 The new design proposed by Airbus and Safran is based on two versions of the Ariane-6, both using a higher share of liquid propulsion: Ariane-6.1 for Commercial GTO satellites (8.5 tons to GTO, 86 million euros/launch) and Ariane-6.2 for institutional satellites (4 tons to GTO, 69 million euros/launch). Development costs are estimated at 2.6 billion euros, not including any cost related to the Vinci engine. Once included, development costs are said to be similar to Ariane-6 PPH (3.25 billion euros). With two versions, the new Ariane-6 design is much more flexible, able to launch a larger variety of payloads (dedicated or shared launch), effectively addressing the full Commercial GEO Satcom market. On a $/kg basis, the cost of Ariane-6.1 is remarkably low, while the cost of Ariane-6.2, designed for institutional satellites, is remarkably high, but the latter would likely also be used for non-GTO launches. Ariane-6 PPH features a cost per kg slightly above Ariane-6.1; but as said earlier, its price tag was met with deep skepticism. Design-wise, the PPH and the 6.1 and 6.2 versions use similar solid boosters and re-use liquid engines already existing or under development; Ariane-6.1 and 6.2 using a higher share of liquid propulsion. The new design proposes a similar development cost to deliver two rockets, one with a larger mass-capabilities and a cheaper cost on a $/kg basis; another one, aimed at institutional customers, with a low mass-capability and high price. The pros and cons of the new design will have to be analyzed in detail, but the joint-venture and the initiative taken by Airbus and Safran to develop a new design are very good signs for the European Launch Industry. They signal a desire to move toward a private model, away from the old model, where space agencies ruled, taking decisions and imposing rules eventually leading to low efficiency and high costs. One could nonetheless wonder if Airbus and Safran could do better in terms of development cost. Under the EELV programs, the Atlas-5 was developed for less than $2 billion (2014 USD) and the Delta-IV for close to $2.6 billion. Both were evolution over existing designs but included large modifications, both included the development of a new engine and both are modular vehicles, with a large set of capabilities. Their unit cost ended-up being very expensive, but this is largely due to high-margins thanks to a monopoly situation. In parallel, Ariane-6 development is estimated to cost around 3.25 billion euros ($4.45 billion). The European Launch Industry is adapting, in light of the demand for lower cost services. The extent of its future successes will be closely tied to the extent of changes it will undertake and, if it looks for public money to finance Ariane-6, by how much those changes will be acceptable for European governments. You can access this report here.